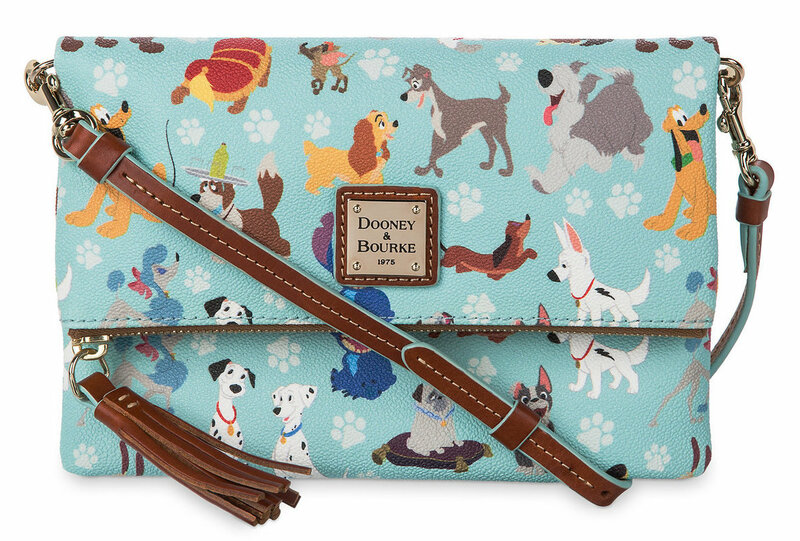 All dogs are good dogs, and all Disney dogs are the best dogs, so it makes sense that anything featuring Disney dogs would be quite possibly the greatest thing ever created. Now guess what?? This collection of our dreams is finally here. 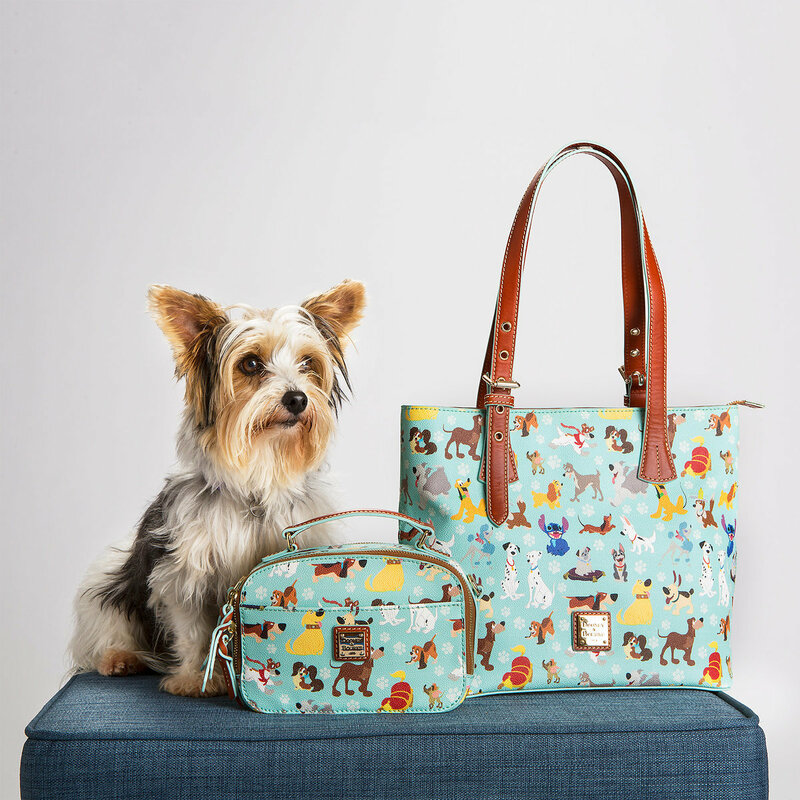 Dooney & Bourke has just released their latest Disney design, and this one has gone to the (good) Disney dogs, quite literally. 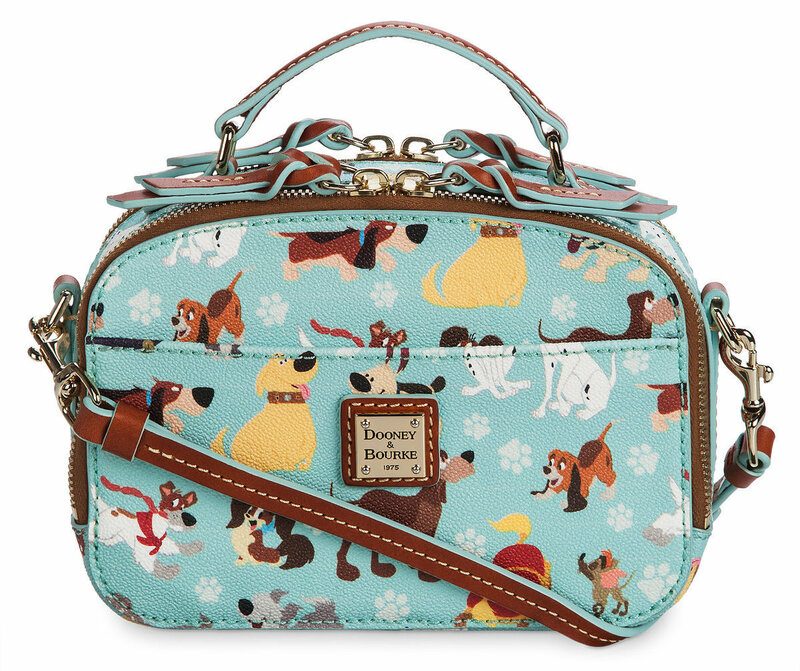 The new pattern features just about every single classic, animated dog ever. Did you hear that? ALL THE DOGS. Pluto, Fifi (Plut’s OG doggy girlfriend), Dinah (Plut’s second doggy girlfriend), Bruno (Cinderella), Nana (Peter Pan), Lady and Tramp, Pongo and Perdita (101 Dalmatians), Copper (Fox and the Hound), Max (The Little Mermaid), Toby (The Great Mouse Detective), Dodger, Tito, and Georgette (Oliver and Company), Percy (Pocahontas), Winston (from the animated short Feast), Dug (Up), Little Brother (Mulan), and Bolt…from the movie Bolt. 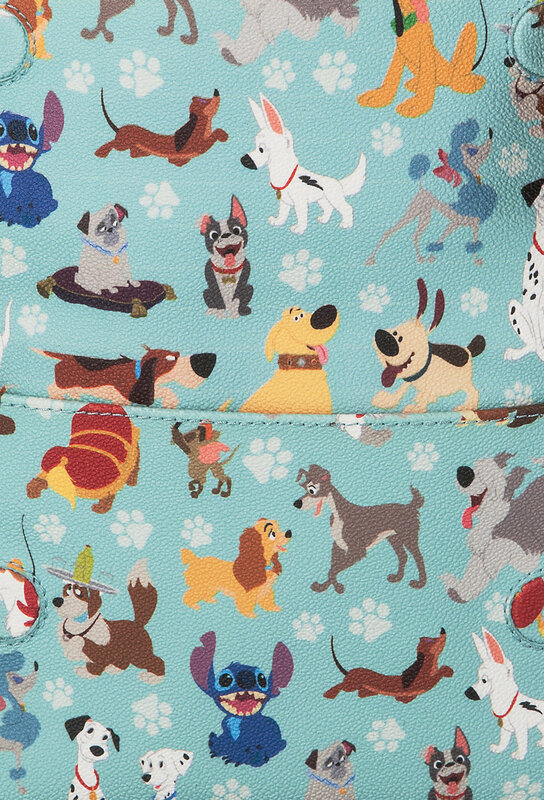 But look closer, because there are two other honorary dogs included, too: Stitch, who is very much Lilo’s dog and…the footstool from Beauty and the Beast. Greatest dog collection ever, or GREATEST DOG COLLECTION EVER? Look at all the good animated doggos! Foldover zip crossover bag, $178.00. 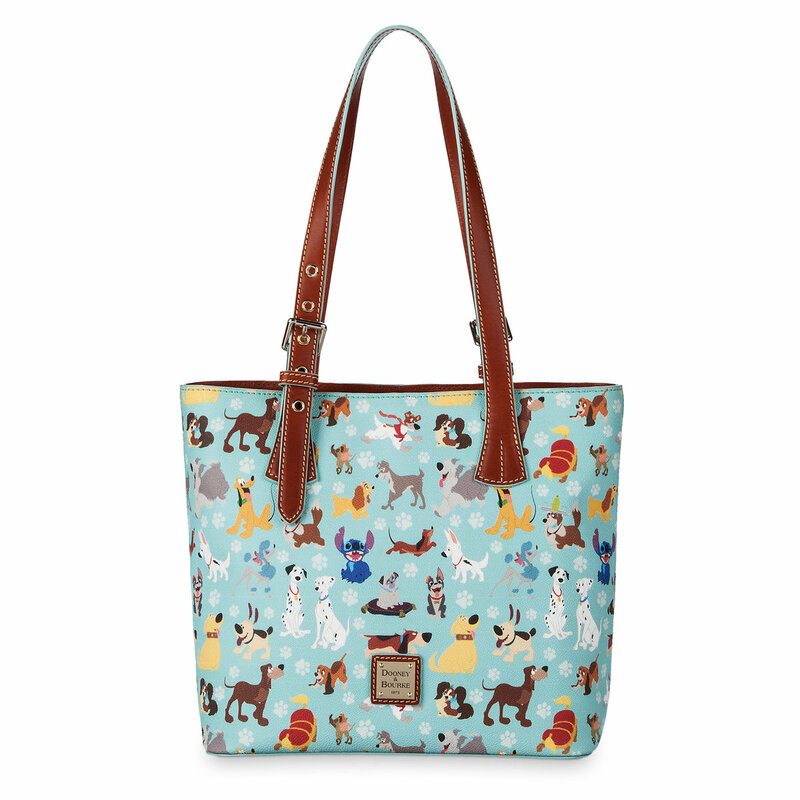 You can currently find all three bags online (if they’re still in stock), in the Shop Disney app, and in select stores at the Disneyland and Walt Disney World Resorts. Get one for yourself and your best friend — and yes, even if your best friend is a dog, that’s cool. Buy your dog two $100+ bags, they probably deserve it.